The purpose of this article is to provide information on how to effectively use and organize your Canvas course based on student’s feedback. Each section will have a brief overview of the tool and includes directions on how to create what is discussed. If you would like to meet with a Canvas @ Yale Support member to discuss your course, please use the Consultation link to do so. For students to be able to search for your course Course Search during Course Selection period, you should upload your syllabus and publish your course. However, there is much more you can do to utilize this tool to be able to ensure the students are aware of the work that will be due throughout your course. Another way to organize your content is to create modules and pages to guide the student’s learning while not in the classroom. 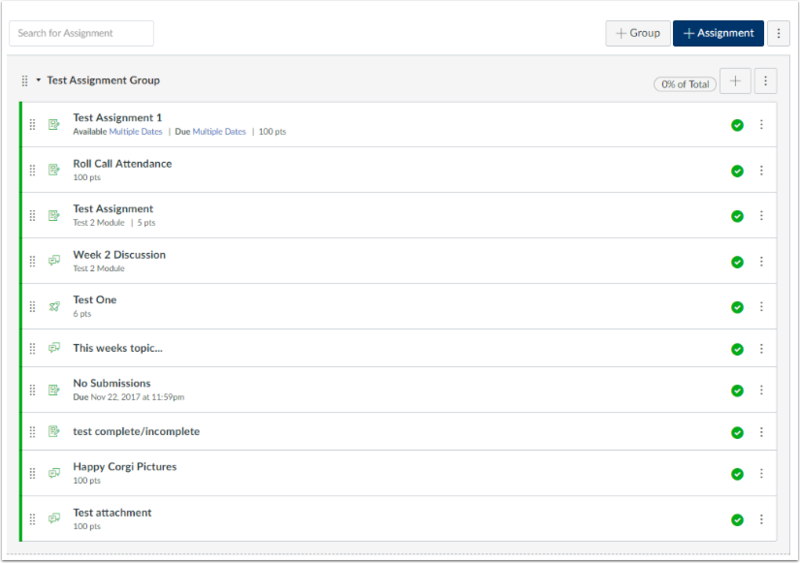 Modules are used to organize course content by weeks, units, or by topic. Modules can create a one-directional linear flow of what students should do in a course for that module. Each module can contain files, discussions, assignments, quizzes, and other learning materials, such as URLs and videos. Note: If you organize your content by using Modules, you may want to hide other tools, such as Files, Quizzes, or Assignments from students since they will be accessing the files and content from the modules. You can do this by re-organizing your course navigation. For students, when they enter the module, they can then click “Next” and will be brought to the next item within the module. If there is an item that you have set an availability date for, the students will be able to click on it, but then will be notified that they do not have access to the item until the availability date. As an instructor, Files allows you to store files and assignments within Canvas. You can upload one or multiple files, view all details about your files, preview files, publish and unpublish files, set usage rights, and restrict access to files. Although it can be very easy to just import all your files into this area, you will want to utilize the Folders within Files to ensure that the documents are organized in a way that will make it easier for students to identify which files they will need to download and read for that specific week or topic. Click +Folder to add a folder to the Files area. Click Upload to upload a file, multiple files, or a zip file. Files and Folders appear in alphabetical order so you may want to use “01, 02, etc” in front of your folders to ensure they are in the order you would like. Green check mark means the folder and its content is published and available to students. Gray circle means that the folder is not published and the folder or content is not available to students. Orange cloud with lock states that the folder and content has been restricted to be only available with a link or available after a specific date. Note: If the folder is restricted with an availability date, the students will see the folder but will be notified that the folder is available on a later date. 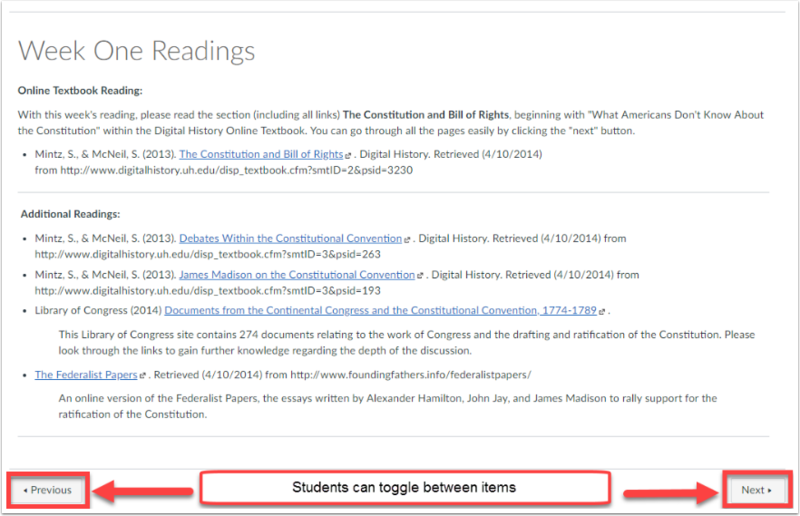 If it is restricted with access only with the direct link, the students will not see the folder within the Files area. Using the Content Selector Panel to Add Links to Files. Assignments include Quizzes, graded Discussions, and online submissions (i.e. files, images, text, URLs, etc.). The Assignments page shows students all the assignments that will be expected of them and how many points each is worth. Assignments can be assigned to everyone in the course or differentiated by section or user. If you are having the students complete work within class and just want a column within the Grades area to provide the student with their grade, you can also create an assignment and choose “on paper” submission. Only graded assignments, graded discussions, graded quizzes, and graded surveys that have been published display in the Gradebook. Not Graded assignments are not included. By using the Gradebook functionality, you can have the system complete the weighted totals for you (i.e. Writing Prompts are worth 10%, participation is with 20%, etc.) Once a graded item is created within Canvas under assignments or quizzes, a column will be automatically created within the Gradebook. Students will be able to view all of their grades as well, which allows the students to understand how they are doing within the course.